As a huge Fire Emblem fan, I was extremely excited when Fire Emblem Heroes (FEH) came out on February 2, 2017. Now, exactly a year later, I’m finally quitting. Don’t get me wrong, for most of the last year, I’ve really enjoyed FEH. The art, voice acting, and even to some extent the story were all top-notch since the game was developed by Intelligent Systems, the actual company behind Nintendo’s Fire Emblem franchise. In addition, the strategy aspect of the game, while not nearly as deep as that of the core titles of the series, definitely did not disappoint and I enjoyed the challenge. Clearly, I was/am not alone in this, since the mobile hit has not only won numerous awards, but also was a huge financial success for Nintendo. In this post, I’ll examine three of the main reasons I’m dropping FEH. I bear no ill will to the game and wish it the best, and I’m looking forward to seeing how it develops. It’s just no longer for me. Gacha games, according to Wikipedia, are games that use a “loot box” system to monetize. 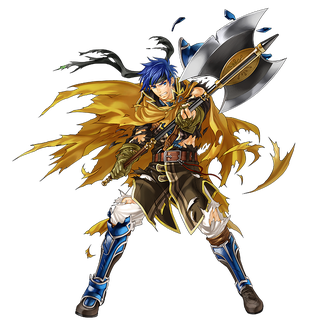 They’re prevalent in Japan, which speaks to how Fire Emblem Heroes was developed, as Intelligent Systems has been a game developer in Japan for over 30 years. I’ve read many posts about how gacha games are appealing, and most of them allude to their similarity to gambling. There’s a thrill in opening loot boxes (or summoning heroes, in FEH’s case) because you never know what you’re going to get. But as with real gambling, it feels really bad when you pull relatively useless or low-rarity characters. In my experience, I don’t dislike all games with a gacha concept. Hearthstone, as I described in my other post, has essentially the same concept with its card packs. Like FEH, there’s a relatively small chance of opening the super rare cards (equivalent of 5 stars), and the packs can be bought with both in-game currency and real-world money. However, there’s one huge difference between games like Hearthstone and Fire Emblem Heroes. In the former, you don’t need to spend money to be at the top of your game, although a large time investment is required. In the latter (FEH), whales can pay their way to a point in the competitive ladder that is untouchable to F2P players. Whales is a colloquial term for the very small portion of a gacha game player base that spends a large amount of real-world money on the game, so much that they usually represent the majority of the revenue for these types of games. As a F2P player in all games that I play, I believe that the relationship between F2P players and the whales of any gacha-like game plays a critical role in how the game turns out. On one hand, you have games like Overwatch, where the “gacha” is loot boxes that only contain cosmetic enhancements to the game. In this case, F2P players and whales have an identical experience in the game from a competitive standpoint. Somewhere near the other side of the spectrum, there are games like Fire Emblem Heroes. In FEH, whales with +40 merge team-comps in Arena are literally on a different level from F2P players, and they will pretty much never be matched up against each other since they are so much higher on the ladder. To get an idea of what it takes to be a whale, let’s look at the +10 merged Performing Azura in the picture above. I didn’t get a single one of her, since I only had enough orbs to summon 15 heroes (summon three times) on this “banner.” Let’s assume that 4 out of 15 (3.75 really, but let’s make it easier on ourselves) heroes were green and I got all 4 green in the third summon. This is a simple binomial distribution, so I would have had a 13.3% chance of summoning one or more Performing Azuras. To put it another way, I had a 86.7% chance of not summoning a single one, which is what happened in reality. Now let’s calculate the expected number of summons to get the 11 Performing Azuras required for a +10 merge. To be conservative, let’s assume the summon rate is a flat 4% (even though it’s probably closer to 3%) so that we can simplify it to a sum of 11 geometric random variables. This gives us an expected value of 275 summons to get all 11 Performing Azuras. This also means that the whale would have to cherry pick and only summon greens, so it would cost a total of 1375 orbs. At the current orb to dollar exchange rates, this +10 focus merge would cost over $700! And we’re not even counting the 5 star he/she had to sacrifice for the Aether and the Hector (whom I’ve never pulled) for the Distant Counter. When I realized that there were players with full +10 merge teams at the top of the ladder is also when I realized that barring a probabilistic anomaly, there was just no way I would ever be able to compete with them. But why did I still log in every day to play even though I knew I could never compete with the “best” in this game? I don’t know. It was irrational. I felt bad if I didn’t login and complete my daily quests since it meant I wasn’t “giving it my all” as a F2P player, even if it didn’t really matter. A couple of weeks ago, I started playing Persona 4, which I can say is one of the best games I’ve ever played even though I’m only about halfway done (there will be posts about it in the future, I’m sure), and I wanted to spend what free time I had on it. But I still felt that pang of guilt for not completing my daily quests and getting more orbs in FEH. Then I got more frustrated when I realized that the Arena ladder inflation had finally gotten to the point where my 699 average score wasn’t enough for me to get from tier 19 to 20. I tried a few more times before I took a step back and really thought about it: Why am I spending time playing this game? There are other things I enjoy doing more and there are no substantial gains I can make in Fire Emblem Heroes no matter how hard I try. It’s time to quit. So I did.